Gains this week mostly from short covering of cheap funds; momentum limited. Trade negotiations making progress; U.S. President Trump to meet with Vice Premier Liu this week; traders remain cautious. Showers and thunderstorms pushing through the Delta; additional rains to come; planting delays continue. U.S. export data comes in bullish for wheat and soybeans; bearish for corn. Positive momentum (via planting delays, export data, etc.) remains limited due to lack of new buying but rather short covering of cheap funds. Investors need to continue to keep a close watch on the U.S.-China trade talks. After meetings in Beijing last week, U.S. Trade Representative Robert Lighthizer and Treasury Secretary Steven Mnuchin are holding talks with Chinese officials in Washington this week. 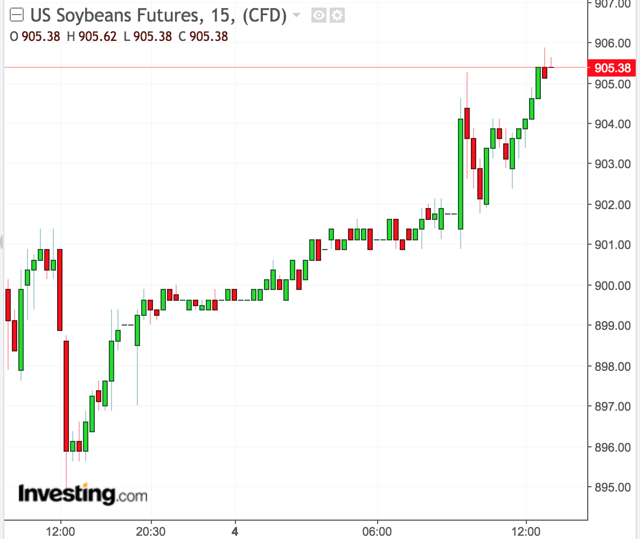 Meanwhile, the United States Department of Agriculture (USDA) on Thursday released the U.S. net export sales data for the week ending March 28. The report revealed for wheat 0.707 million tonnes exported beating analyst expectations trading range of 0.3-0.6 as well as last week's 0.476. It was a bullish report marking the largest weekly volume since December. The main customers were Iraq, Egypt, and Indonesia. Soybeans reported 1.972 million tonnes easily beating market expectation range of 0.8-1.5 and last week's report of 0.182. This also was a bullish report marking the largest total exported ever for the week. Additionally, 86% of the total went to China. Corn was the odd grain out coming in bearish with 0.537 million tonnes. This fell short of trader consensus range of 0.7-1.1 and last week's report of 0.905. It was the lowers total for the week in 4 years. The main customers were Mexico, Japan, and Columbia. On the weather front, planting delays continue to be an issue for farmers. Showers and thunderstorms are moving across the Mississippi Delta this morning as one of several disturbances that will be traveling across the central U.S. over the next two weeks. U.S. wheat front-month May futures contract finished flat on Thursday up only 0.08% to $4.7138. U.S. May corn futures finished up 0.52% to $3.6462, while U.S. May soybean futures were also seen higher up 0.63% to $9.0488. For the less volatile, unleveraged Teucrium ETF grain products, the Teucrium Wheat Fund (WEAT) was seen slightly up 0.18% ($0.01) to $5.42, with the Teucrium Corn ETF (CORN) seen up 0.26% ($0.04) to $15.54, and the Teucrium Soybean Fund (SOYB) up 0.44% ($0.07) to $16.12. 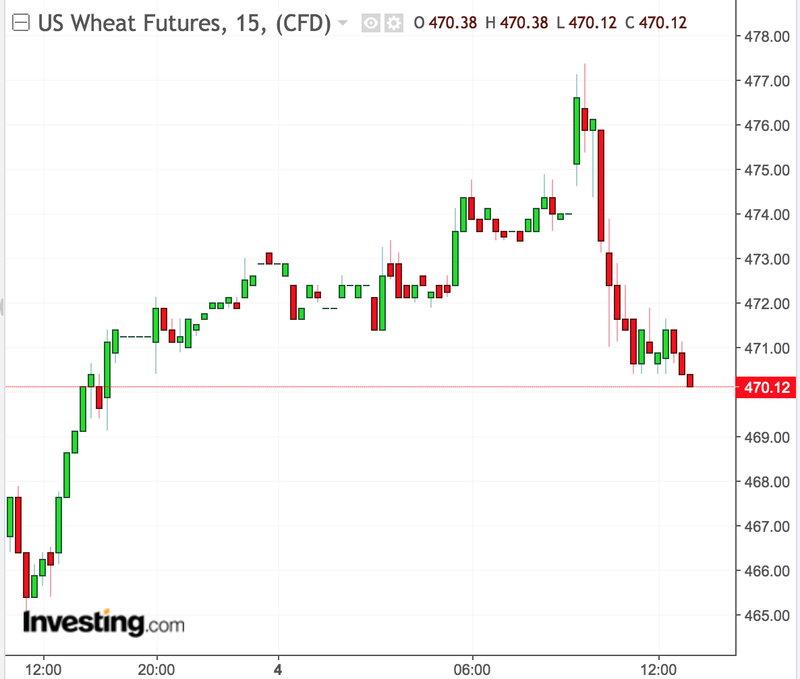 May Chicago Soft Red Winter Wheat (SRW) futures was seen flat finished unchanged at $4.71, with May Kansas City Hard Red Winter Wheat (HRW) futures also nearly flat up 0.2 cents to $4.372, resulting in a 34-cent premium of CBOT wheat to KCBT wheat. MGEX's Hard Red Spring Wheat (HRSW) May contract was seen down $0.74 from $5.350 to $5.272. Figure 1 below is a chart illustrating the price trend of the front-month May futures contract for wheat over the past 24 hours. Figure 2 below is a chart illustrating the price trend of the front-month May futures contract for soybeans over the past 24 hours. 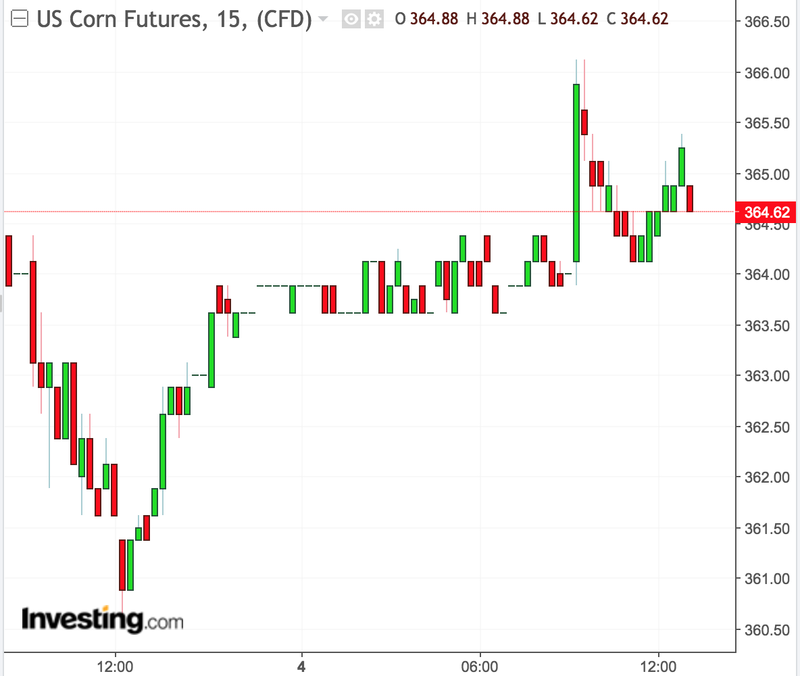 Figure 3 below is a chart illustrating the price trend of the front-month May futures contract for corn over the past 24 hours. There's been little change amongst the forecast models as the outlook for mid-April and over the next two weeks remains the same. That is a warming trend that will take place late this week through early next week before a cooler weather pattern descends over much of the Lower 48. Much of the cool temperatures will be centered over the nation's heartland. Additionally, the weather pattern will be active or stormy with a series of storm systems parading cross-country impacting critical agriculture areas. The bulk of precipitation is forecast to fall over the southern U.S. that includes the Delta. 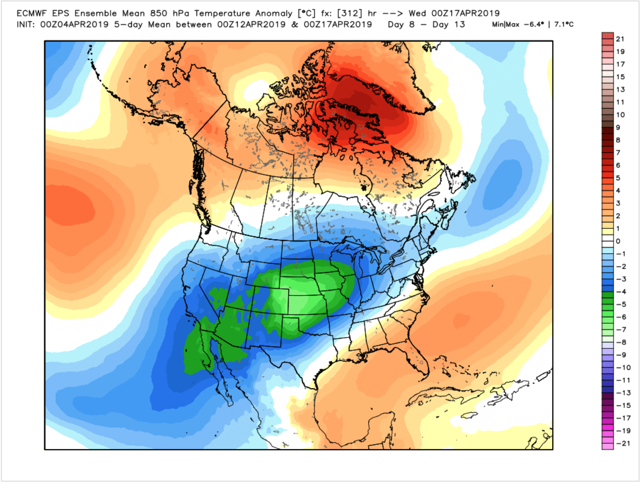 Figure 4 below is an illustration from the 0z ECMWF EPS model depicting cooler-than-normal temperatures encompassing much of the country in the 8-13 day period (April 11-16) with the cold centered across the central U.S. (including winter wheat country and the western corn/soybean belts). Figure 5 below are maps from the 06z GEFS of accumulated precipitation anomalies over the Lower 48. To the right is for Day 1-7 and on the right Day 10-16. In green are areas of wetter-than-normal conditions while areas in yellow indicate drier than normal conditions.